Tye Police Department prides itself on being involved with our community by providing various programs and services. Operation Brown Bag and Blue Santa are just a couple of the programs we offer. Tye Police Department has created a list of these programs and services for our citizens to help make our community better, stronger and safer. While some of these programs and services are specific to Tye Police Department and our citizens, not all of them are and are only provided as a reference. These third party programs and apps are not endorsed by the City of Tye, or the Tye Police Department. 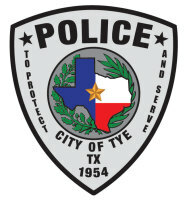 If you have any questions concerning the programs or services Tye Police Department offers, please contact us through our website or call us at 325-692-2610. 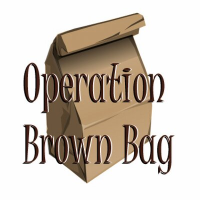 ​Operation Brown Bag - This program provides lunches to children who are at risk of going without food during their summer break from school. Through generous donations, we have been able to continue this program into the school year, providing lunches to those who are at risk of going without over the weekends. If you would like to make a donation, please stop by our office or contact us at 325-692-2610. 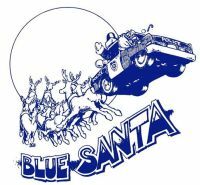 ​Blue Santa - Blue Santa provides Christmas to our less fortunate children of Tye that might not have one. Monetary donations are accepted. Once we have a list of children in need, the donations received are distributed evenly between the children. They are then taken to a local store where they are able to spend the money to purchase gifts for themselves. To make a donation, please stop by our office, or you may send the donation to: Tye Police Department, PO Box 369, Tye, TX 79563. Please write "Blue Santa" in the memo portion of the check so we know which program the money is for. 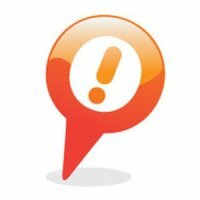 House Watch Program - The House Watch Program is for those citizens who are going out of town and would like us to check on their residence while they are away. It's also used for citizens who believe there may be criminal activity going on around or near their house. To setup a House Watch, please download the request form, fill it out, sign it, and turn in to City Hall. If you are unable to download the form, stop by City Hall to pick one up. The House Watch Form can be downloaded here. 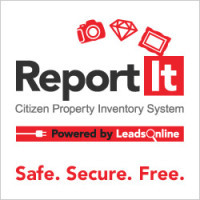 Reportit - Tye Police Department has partnered with ReportIt, a citizen property inventory system. ReportIt allows users to create a free account to securely store pictures, item descriptions and serial numbers of their valuables. In the event your valuables are stolen, you can download the records and provide them to us, to help us recover your property. Sign up for your free account today! Tye PD tip411 - The Tye PD app provides citizens the ability to submit anonymous tips to the Tye Police Department. The app also displays crime alerts as well as alerts that affect the citizens of Tye. The Tye PD app is available on iTunes and the Google Play Store. 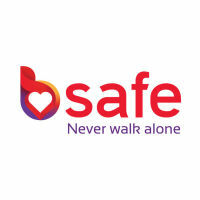 bSafe - bSafe is a personal safety app designed to keep you and your friends safer 24/7. It’s packed with features for both everyday safety and real emergencies, making it the ultimate safety tool for you and everyone you love. bSafe puts safety in YOUR hand - for FREE! Available in the App Store and Google Play. 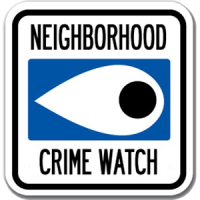 Neighborhood Watch - Neighborhood Watch is introducing a mobile phone app for iphone, Blackberry and Android platforms. The Neighborhood Watch App has dynamic reporting capabilities including options to add photos and text to reports from Block Captains, volunteers, or from citizens who want to report anonymously. Linked to a proprietary database of law enforcement agencies from throughout the country, the Neighborhood Watch App enables citizens to report drugs, marijuana, and other crime concerns, suspicious activities and community disorder. The NW App also offers innovative features such as mini training videos, and tips on starting, revitalizing or expanding your Neighborhood Watch. Additionally, the Ask the Expert section allows users to query national crime prevention and Neighborhood Watch experts on topics of interest. Available in the App Store and Google Play. Circle of 6 - Circle of 6 is for everyone. It’s fast, easy-to-use and private. Originally designed for college students to prevent sexual violence, it’s also handy for teenagers, parents, friends, or all communities seeking to foster healthy relationships and safety. Need help getting home? Need an interruption? Two taps lets your circle know where you are and how they can help. 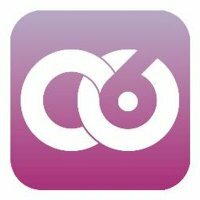 Circle of 6 app for iPhone and Android makes it quick and easy to reach the 6 people you choose. It’s the mobile way to look out for each other on campus or when you’re out for the night. A simple tool to prevent violence before it happens. Available in the App Store and Google Play. MyForce - MyForce is a personal security service anyone can put on his or her smartphone. It’s the first and only personal security system for smartphone users that connects them to UL listed, 5-Diamond certified professionally trained alarm-monitoring centers, as well as subscribing college and university campus law enforcement. In situations where potential danger looms, individuals are better served to be connected directly to a well-trained and professional emergency monitoring team and/or law enforcement, rather than connected to friends and family who may not receive the notification in a timely manner; or who may be unprepared to respond. During a violent attack or sexual assault, one is not able to dial for help or clearly convey all the pertinent details to summon the appropriate assistance. MyForce provides emergency response units with the subscriber’s exact location, accurate physical description, photo, known safety issues or concerns, medical conditions, and emergency contacts. Available in the App Store and Google Play. Code Red - Code Red is a free program offered by Taylor County that alerts citizens in the event of an emergency situation, such as severe weather, evacuation notices, boil water notices and missing child reports. Click here for more information.